Surveillance Video Systems was the company that provided inGen with Surveillance Cameras for their Isla Nublar Jurassic Park operation. Cameras were seen inside the Visitors’ Center main compound as well all around the Park. 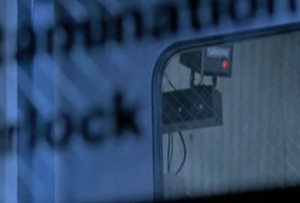 The video was fed back to specialized Panasonic Monitors in the Control Room, but could also be accessed on the Main System, as was demonstrated by Dennis Nedry who was monitoring the East Dock prior to his attempted robbery of frozen embryos to Lewis Dodgson in the 1993 Incident.